The barrel has wadlock rifling. Unlike the traditional smoothbore barrel, each barrel is designed with six straight lands and .005" deep grooves that run the length of the bore. This prevents wad and shot charge from spinning, which in turn greatly reduces the number of flyer shots and stray pellets. You should see a 7-10% improvement in pattern density. 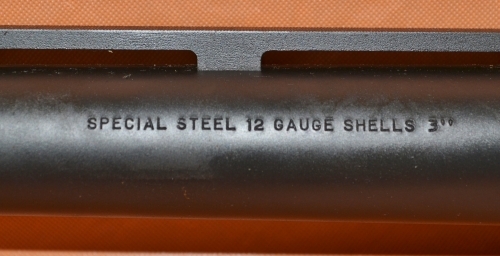 The barrel uses screw in chokes with the Hastings CT II choke system. I have been using Hastings Wadlock barrels for over 20 years with great success. My latest purchase, their 34" Wadlock barrel for my Remington 870, produces absolute wonderful patterns, and it's extra length allows for maximum velocity potential from any load used.